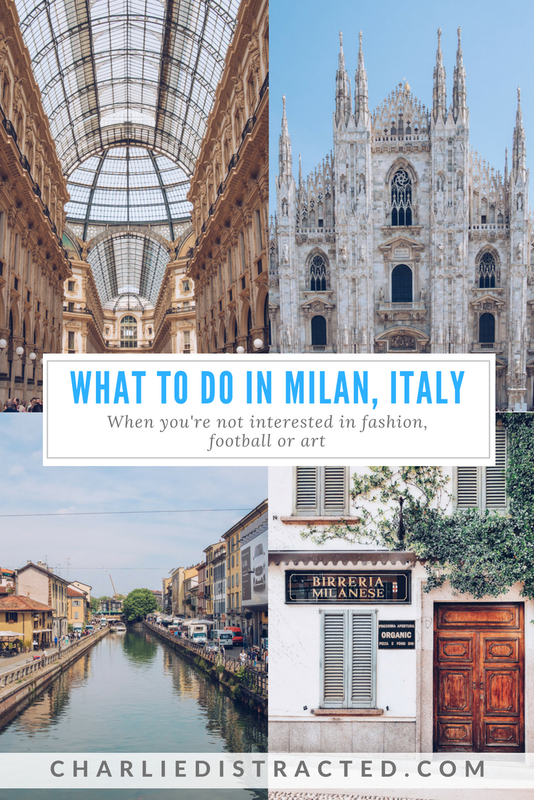 Wondering what to do in Milan when you have no interest in high fashion, football or art? 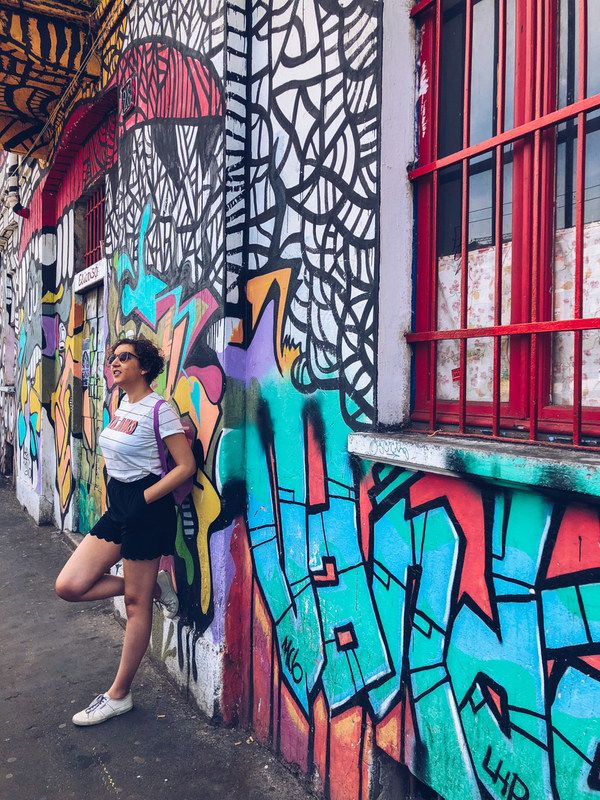 I found researching what to do in Milan super stressful. I’m more Primark over Prada, 100% very much NOT interested in football (or any sport, really), and not organised enough to buy a ticket to see The Last Supper painting three months in advance (I managed to do it for the Studio Ghibli Museum in Tokyo though, so that about sums up my artistic preferences). 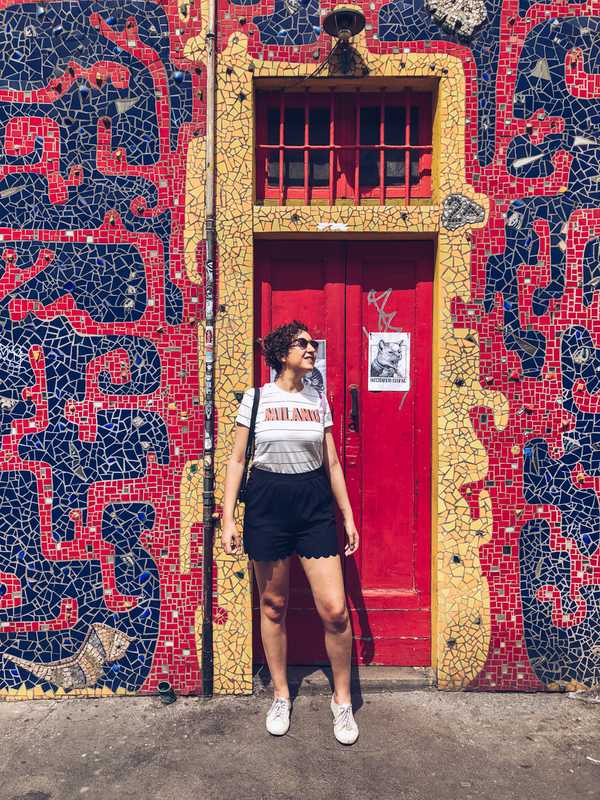 With flights booked and the date creeping closer, I was even struggling to pin down restaurants that weren’t going to break the bank or which didn’t require reservations weeks in advance, and I’d convinced myself I was going to dislike the city before we even arrived. Watch my Instagram Story from Milan here! 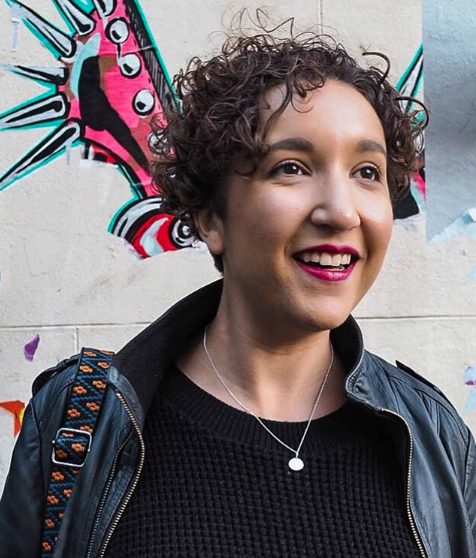 Our weekend started with a very early morning flight from Heathrow, and so after leaving our bags in our Air BnB (don’t forget you can get £25 off your first stay with my code! 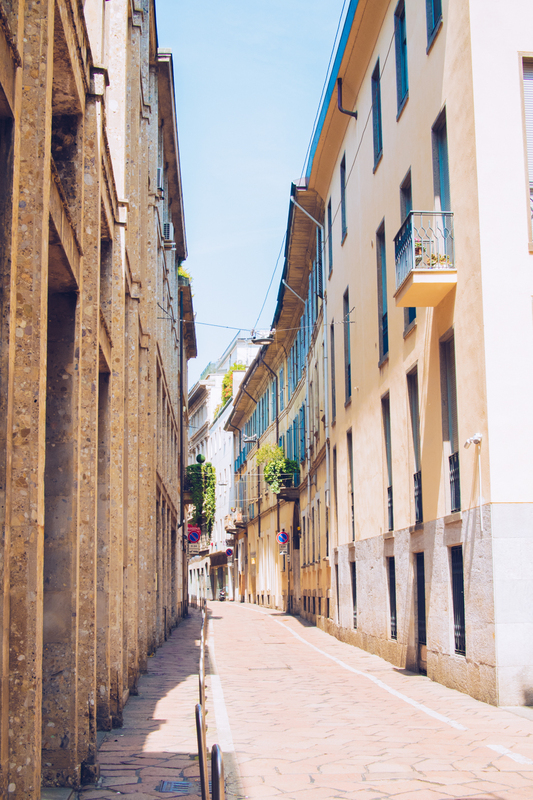 ), we walked into the centre of the city, arriving on Via Torino, Milan’s equivalent of Regent Street. It was obviously hideously busy, but our aim was the same as pretty much every other person in the vicinity: get lunch at Princi. The wonderfully affordable bakery chain (which can also be found in London!) offers counter-service, freshly made food, but specialising in pizza. We had square slices of crispy, fluffy dough, roughly chopped up with scissors by our server, and given to us on paper plates, slightly translucent from the oil it was cooked with. 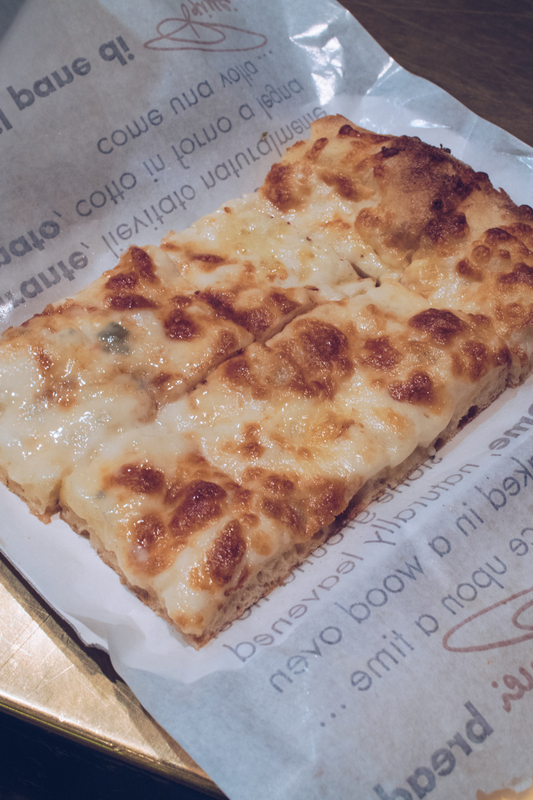 I had a four cheese pizza that was rich and salty, sharp from a tomato base, and utterly melt-in-the-mouth texture. I practically danced out of the store after filling my belly. With the aforementioned early flight, once we’d quelled our hanger, it was caffeine that we needed. 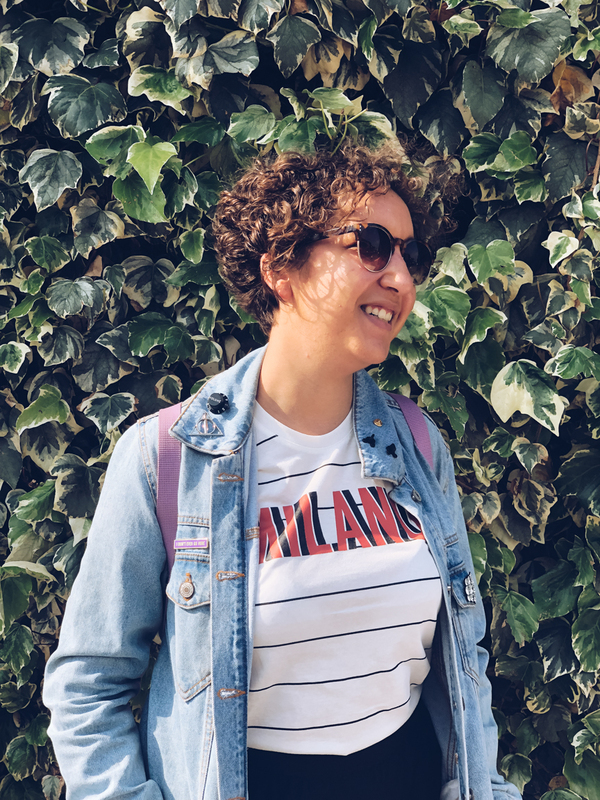 During our weekend in Milan, temperatures were in the high 20s, and I was craving an iced coffee. Walking from Princi, bypassing the Duomo, we wandered the back streets around the opera house, library and statue of Leonardo da Vinci for a while until we stumbled across Panini Durini, a small coffee chain which also serves food (paninis, predominantly, of course). I ordered a shaken coffee, which is simply a shot of espresso, served over ice in a wine glass. Definitely the fanciest iced coffee I’ve ever had, but it certainly hit the spot. 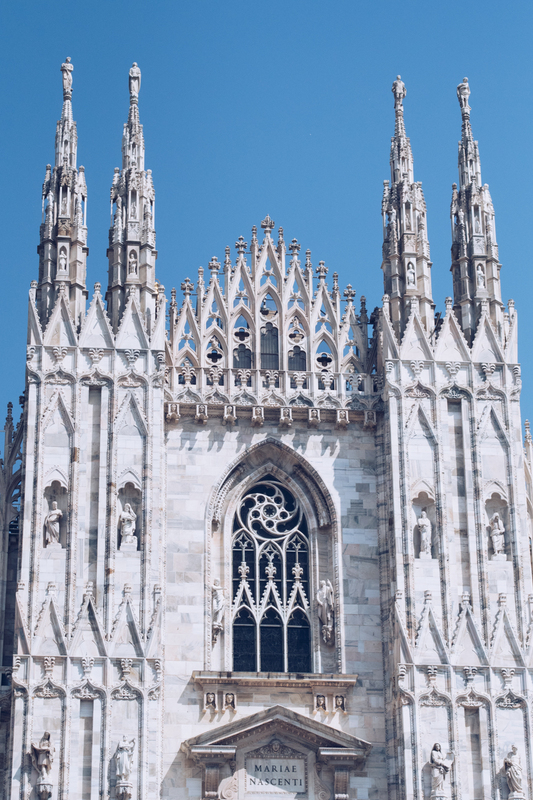 The Duomo will be top of everybody’s list to visit when in Milan, and rightly so because it is absolutely stunning. Rather than joining the hoards of people outside and queueing for hours to look at the inside, we chose a different vantage point, by taking a tour of the roof (arranged by the lovely people at icelolly.com*). 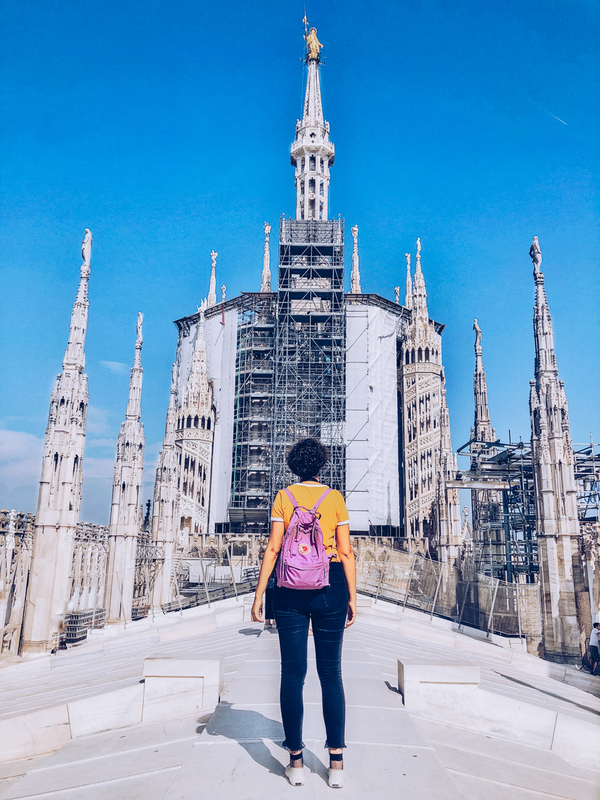 I’ve been to the top of various religious buildings, including the very narrow path around the top of York Minster and the winding staircases of the Sagrada Familia, but the Duomo actually allows you to walk on the roof itself! It’s incredible to walk at an angle across the marble tiles and brick, some fading to black from endless weather, pollution, and human contact. 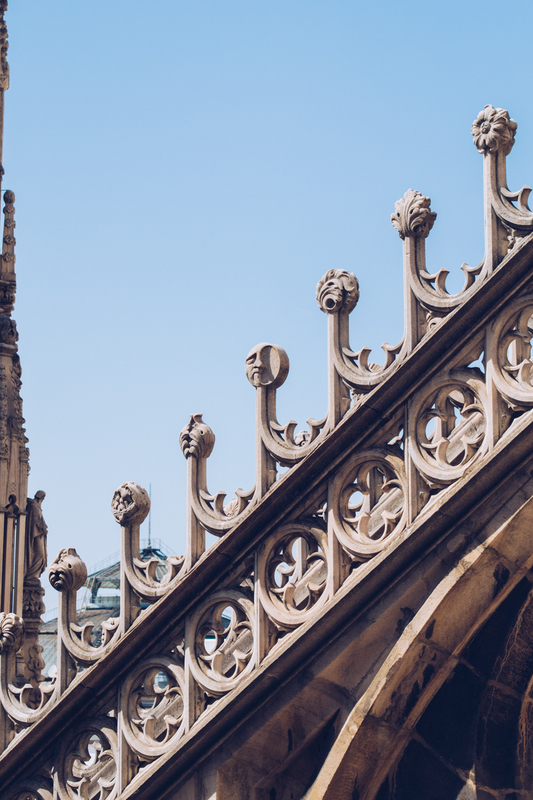 The building has been under construction ever since it was first built in 1396 and continuing on after its completion in 1965 (yep, that’s a whole six hundred years from start to end! ), as the marble has to be constantly replaced. It’s an expensive job, but the money from tourism and generous local donations keeps it going and is why you can see shiny white pillars right next to fading beige columns. From the very top, you can see over the whole city, and on a clear day, even the Alps make an appearance on the horizon. 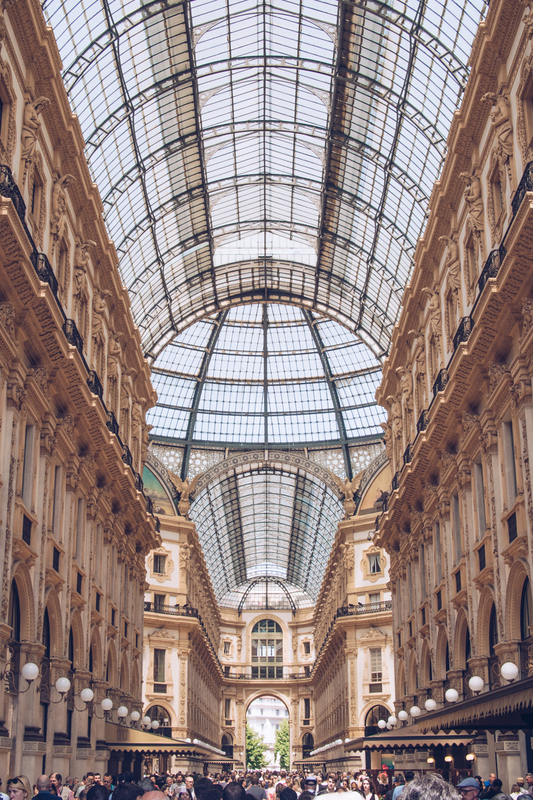 Italy’s oldest shopping arcade is right next to the Duomo and despite being full of shops I certainly don’t frequent regularly, it is full to bursting with tourists coming to gawp at its beautiful design, especially the iron and glass roof. 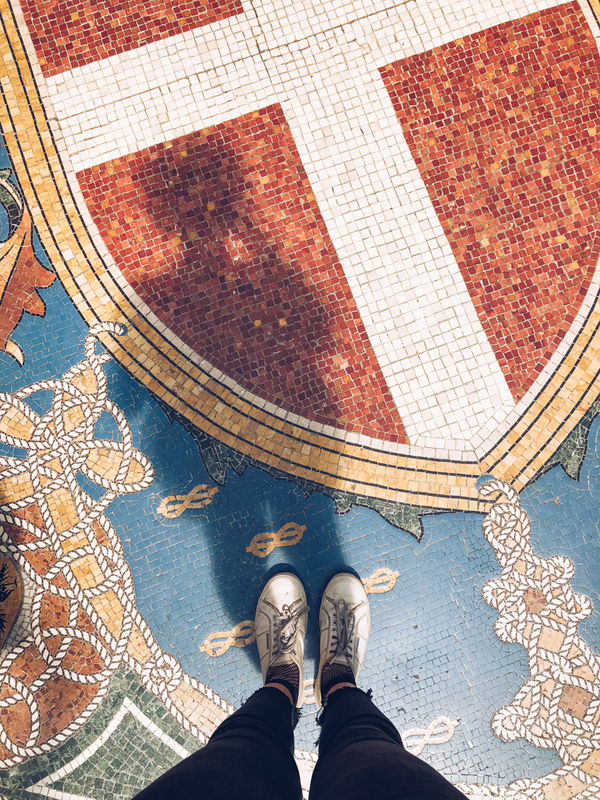 In the centre of the galleria are four mosaics on the ground, each one representing one of Italy’s three capitals: Rome, Florence, Turin and Milan. It’s said that spinning three times on your heel on the balls of the Turin bull brings you good luck, but considering our flight home to the UK was cancelled the next day, I’m not sure I can attest to that! 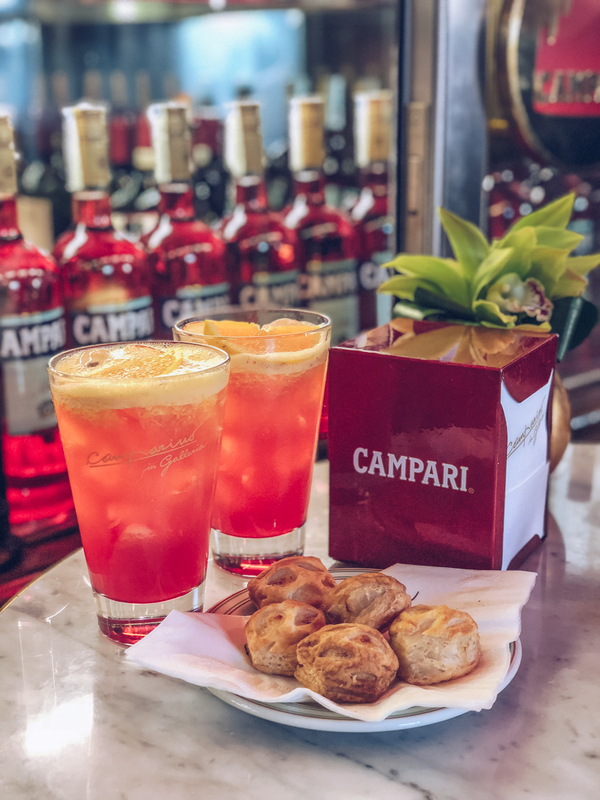 On the Duomo side of the Galleria Vittorio Emanuele II, is two bars dedicated to classic aperitivo drinks: Aperol and Campari. 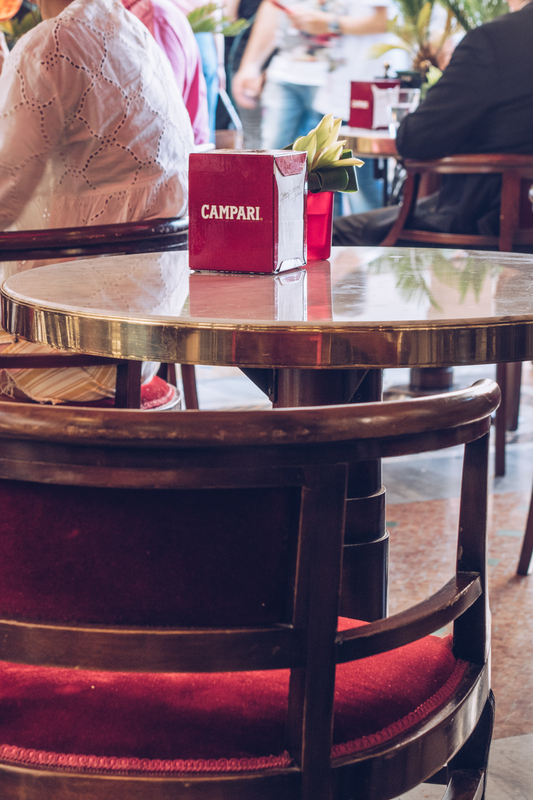 With Aperol Spritz being the boujie drink of choice, there’s a queue around the block to get into their bar, but Campari’s bar is much quieter and easy to grab a table. 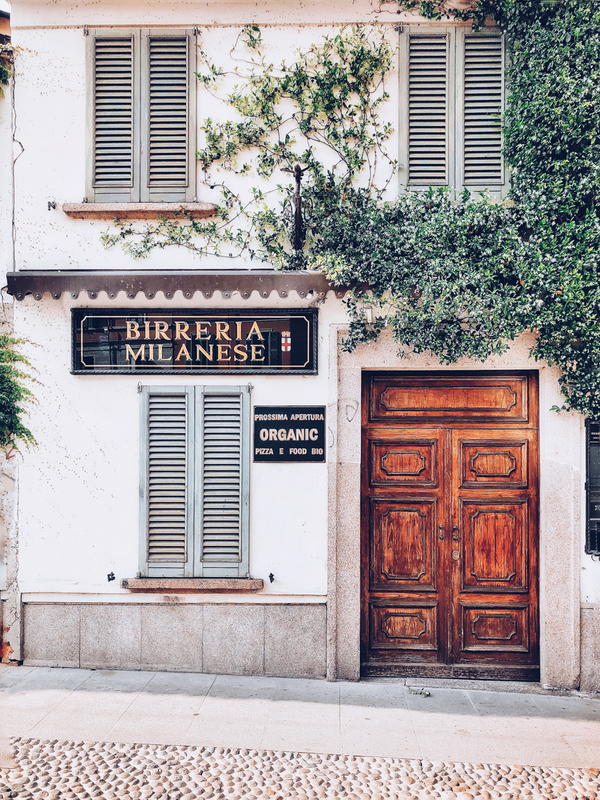 This is the perfect place to have your first traditional Italian aperitivo – the concept of after-work, pre-dinner drinks where you pay for your beverage and are given a selection of nibbles to tide you over until your full meal. I’ve no idea why it’s not a thing in the UK, but it’s a great way to settle into the evening! Jumping on the tram from Duomo and into Brera, the rain started to arrive as we walked pretty aimlessly to find some dinner. 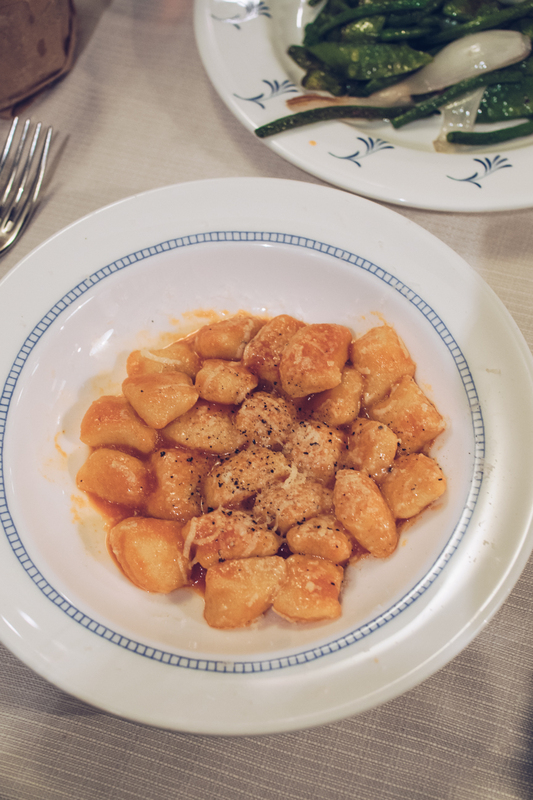 It was luck that took us to the door of little Rovello18, the sort of restaurant I had hoped to find in Italy. Weathered stone flooring, heavy wooden furniture and walls packed with shelves that groaned under the weight of the wine on them. 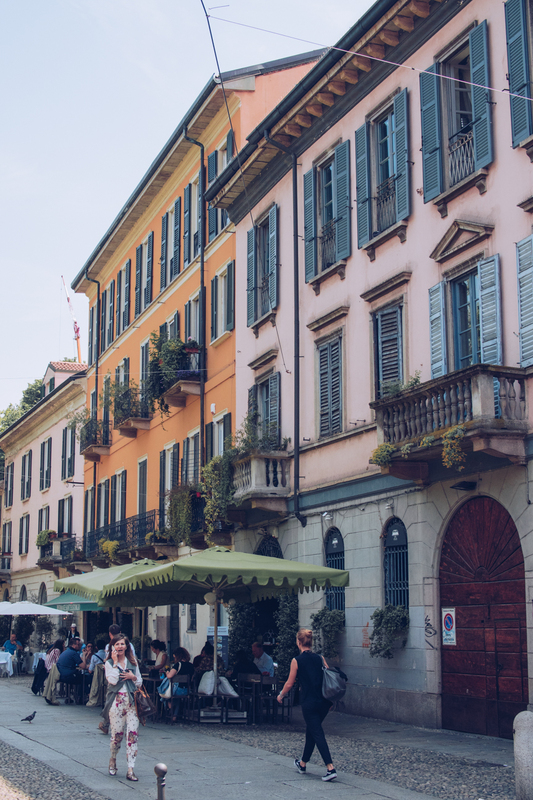 There were numerous multi-generational families eating together, like a Filippo Berrio advert come to life; and when the locals are eating somewhere, you can be sure I knew I wanted to eat there too. 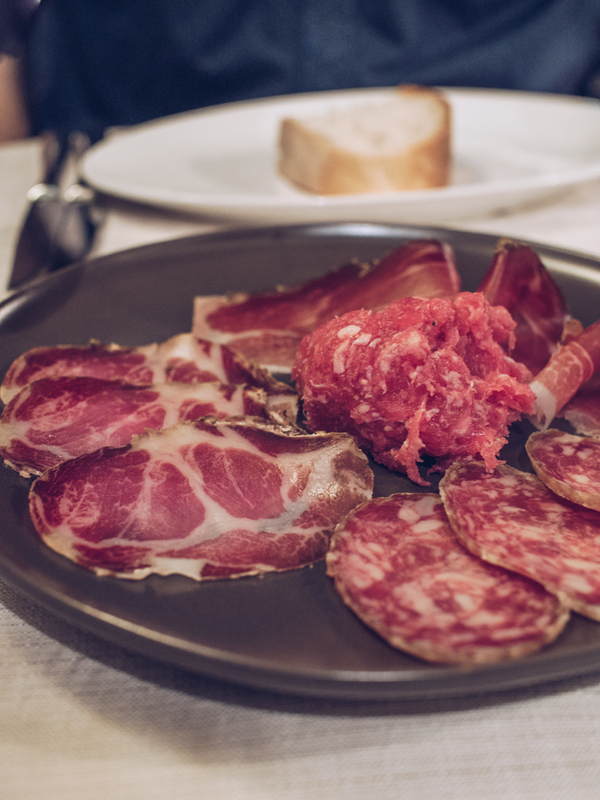 We drank large glasses of a fruity Montepulciano and devoured an amazing cold meats plate made up of a tartare which was 90% veal and 10% pork and barely needed chewing, alongside speck and two types of salami, one of which had been aged for 36 months and was like butter. My homemade gnocchi with pepper cream and Castelmagno cheese wasn’t stodgy at all and had a delicate spicy kick to it that I’d never be able to replicate at home. Walking in the opposite direction of the Duomo from our Air BnB, we headed to Farini for breakfast. Set up in a similar vein to Princi, the place is predominantly a bakery, but I spied eggs on the menu and wanted in. 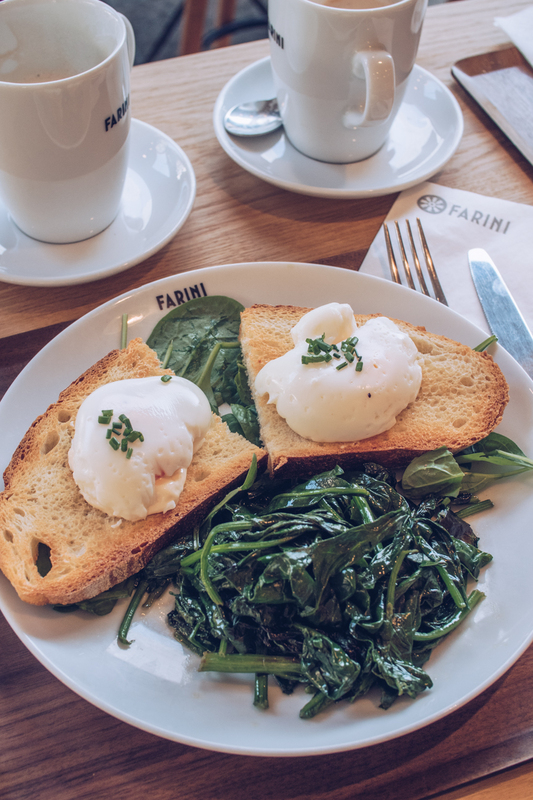 European breakfasts rarely serve up what I’m after, but Farini offers decent portion sizes of poached eggs on toast with a selection of different toppings. I went for spinach and stole some of the mountain of bacon on my boyfriend’s plate, and our coffee was pretty good too. Just remember, if you’re a latte drinker, you must ask for a caffe latte in Italy, otherwise you’ll just be served milk! 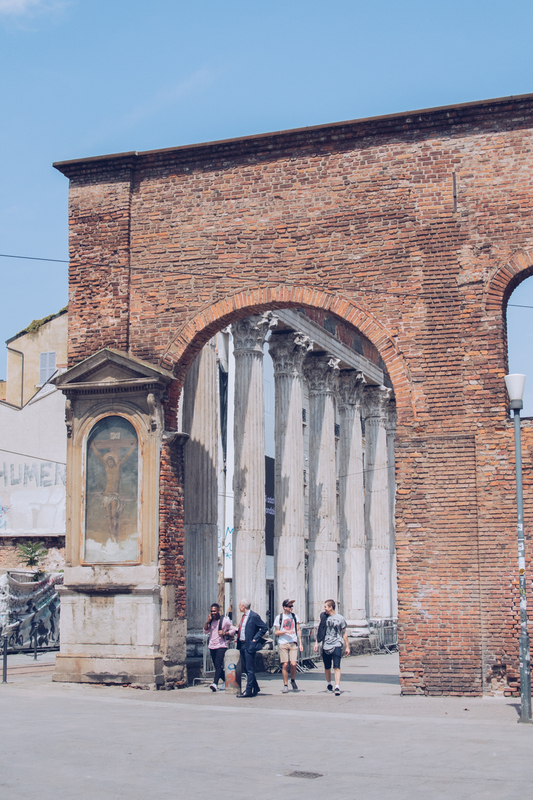 Just across the road from Farini and through an arch is Basilica San Lorenzo Maggiore and the remaining Columns of San Lorenzo. 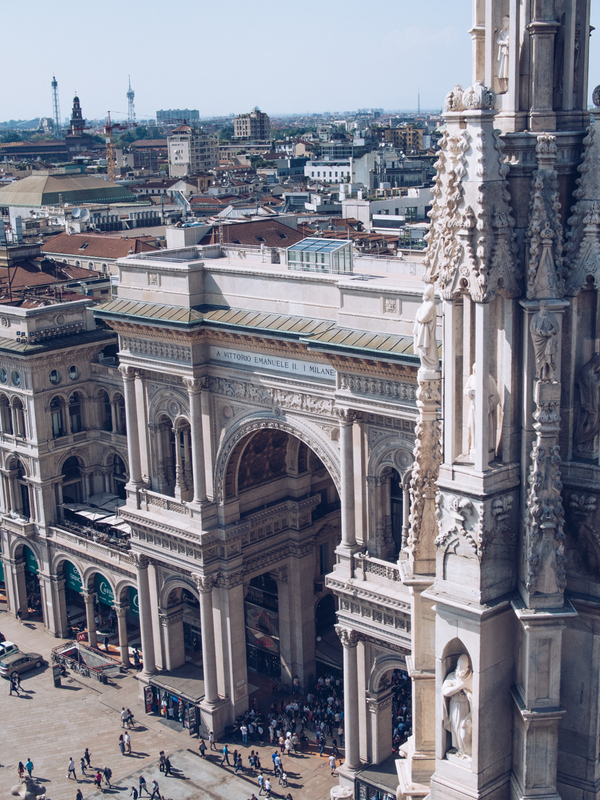 The 16 marble columns date back to the Romans and are totally open to the elements, surrounded by tiny cafes, scooter parking spots and shops; it’s strange to see something so ancient being assimilated into the everyday goings on of modern day Milan. 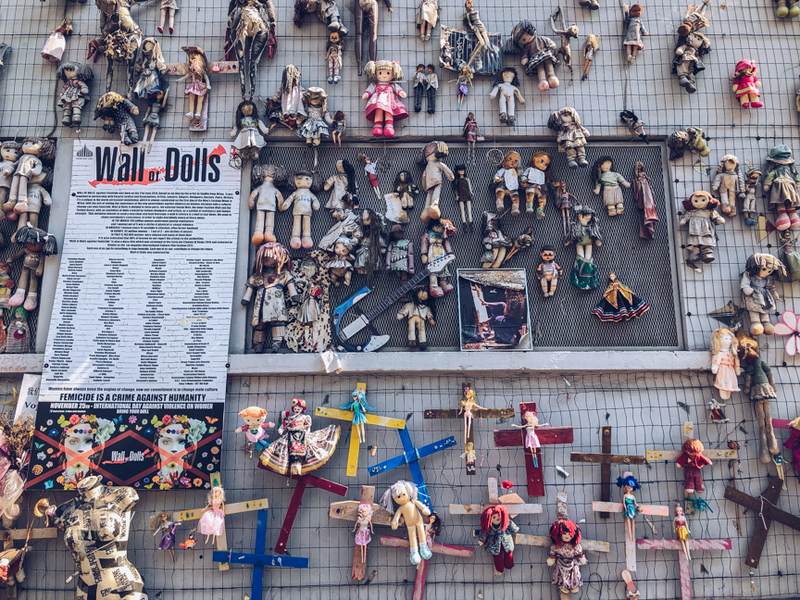 Back out on Via Molino delle Armi is the Wall of Dolls, an important piece of art work on an external wall on a busy street that represents the abuse of millions of women worldwide. Terrifying if you hate dolls, but even more terrifying when you realise that facts and figures behind it. The polar opposite of Via Torino from the day before, Corso di Porta Ticinese is the place where smaller boutique stores and niche chains set up. 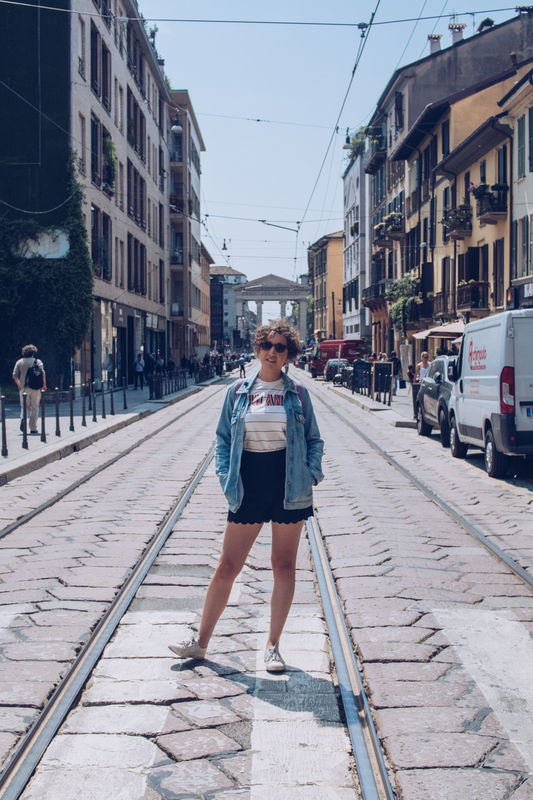 There’s recognisable brands like Vans and Carhartt suggesting that we really were in Milanese Shroeditch at that point, flagged by independent concept shops and plenty of vintage clothing and vinyl to keep me browsing happily for a while. This was the first area I spotted street art as opposed to graffiti as well, in the form of some cool paste-ups, including a series depicting famous artists as modern day hipsters by TV Boy. After a late and filling breakfast, we weren’t hungry come midday and well, we were in Italy, so it seemed only right to go full tourist and have gelato for lunch. 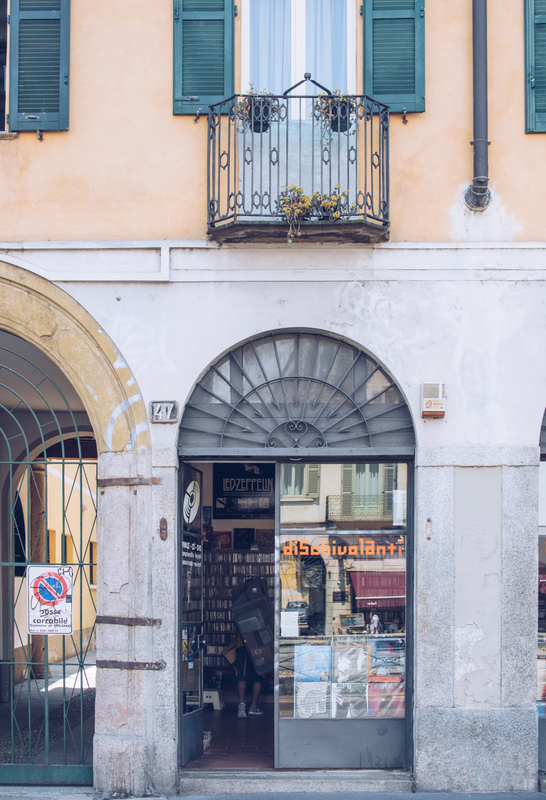 There are two branches of Cioccolaitaliani at each end of Corso di Porta Ticinese, but I’d recommend making your way down past the Porta Sempione (which looks like the Arc de Triomphe) and along the canals of Navigli. 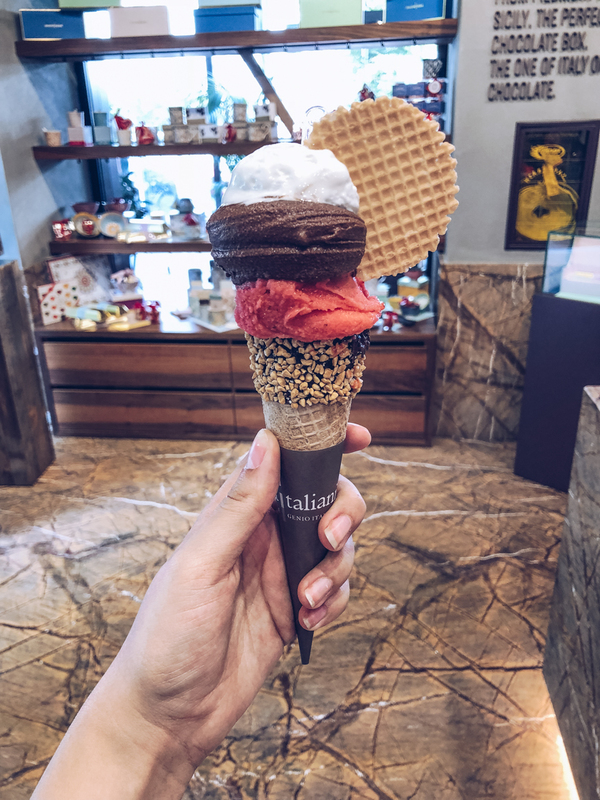 I had a scoop of both dark chocolate and raspberry gelato, topped with a creamy meringue mixture, all served in what can only be described as the most lavish Cornetto cone. I made a total mess whilst eating it, but it all went and I had to stop myself from turning around and ordering another right there and then. 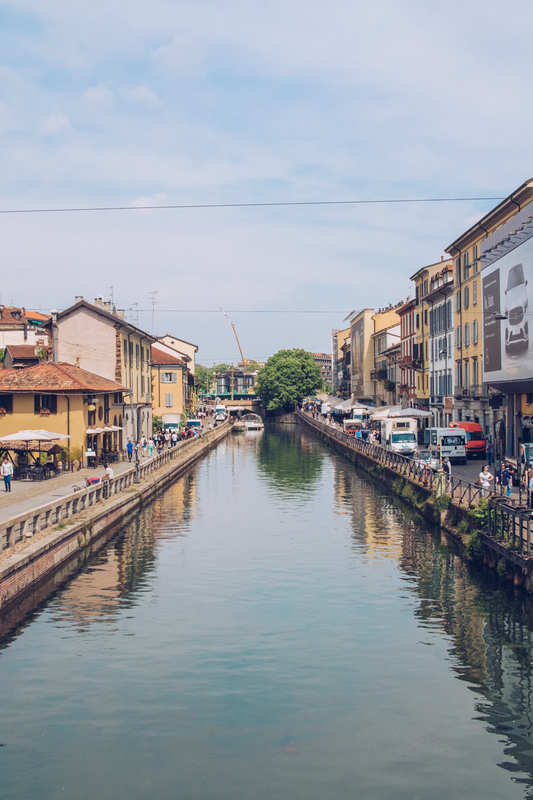 It is Venice that’s most famous for its waterways in Italy, but Milan’s canal district is well worth seeking out. 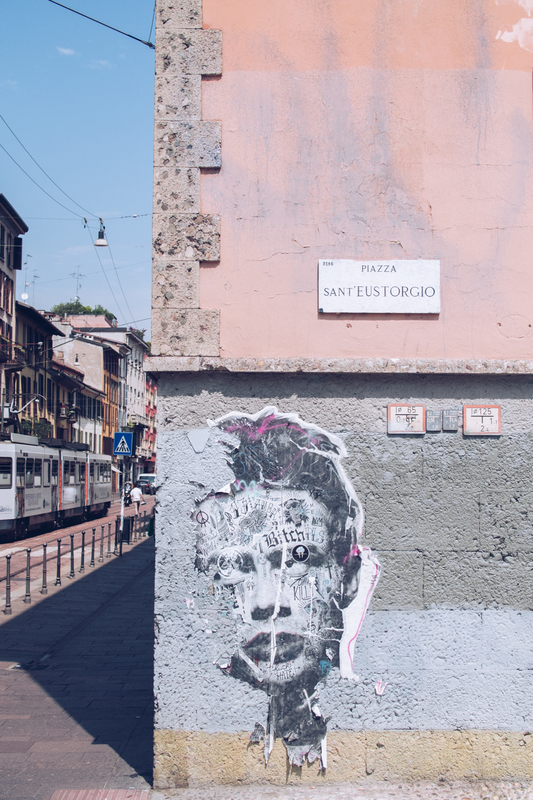 Our flight home was cancelled and when we needed an extra night’s accommodation, we stayed at the Art Hotel Navigli which is just off the main strip but literally seconds away from the bars and bustling atmosphere that I loved. In the day, you can browse tiny shops that almost feel like a slightly more refined car boot sale, with stacks of old chairs, vintage neon lights and all manner of curios to rummage through. Outside, as the weather was fine, we found a bar, ordered a drink and watched the world go by before going off to explore the other side of the canal. The bars of Navigli get very packed, very quickly as soon as its the end of the working day. 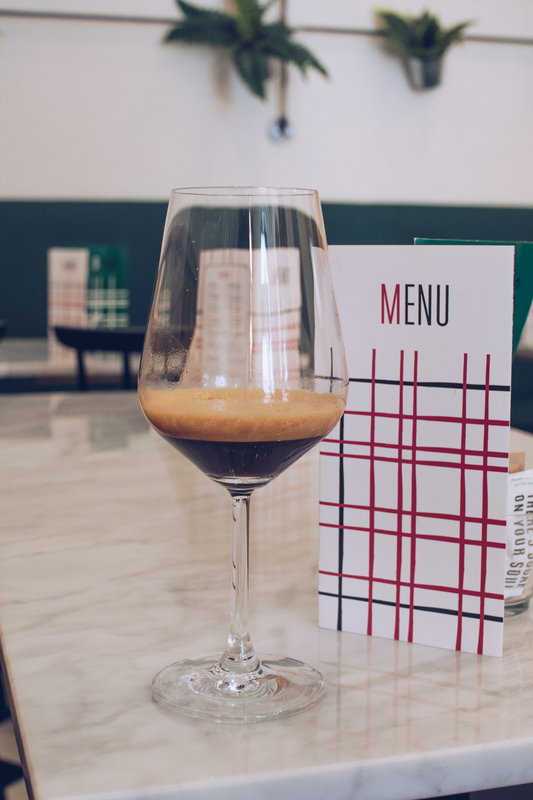 We wanted to grab a cocktail at Mag, but it was absolutely chocca, however as luck would have it, our hotel was right next to a tiny, unsuspecting bar called Il Secco. 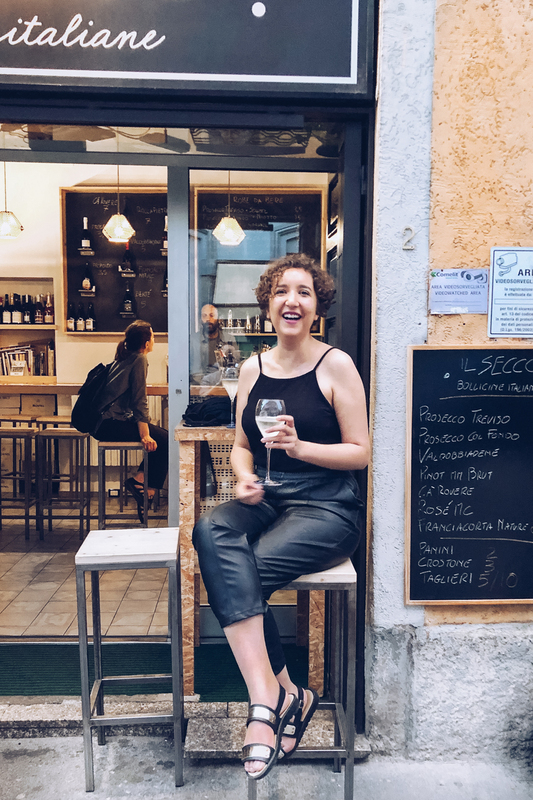 Specialising in prosecco, we settled on some bar stools in the evening sun and tried a couple of varieties, with prices as little as €3.50 a glass – an absolute steal, I’m sure you’ll agree! 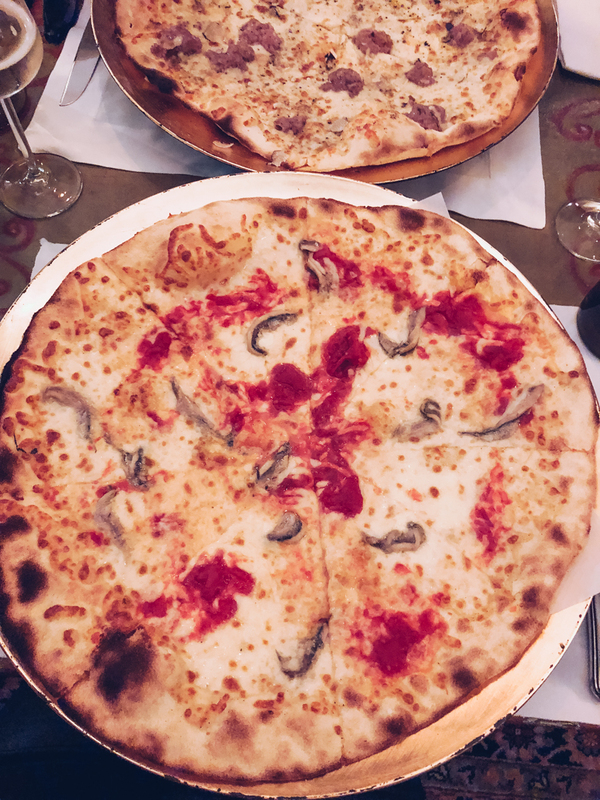 At the quieter end of the main canal strip, not far from Il Secco is Il Montalcino, a beautiful little pizzeria which is dimly lit, quiet and verging on slightly eccentric inside. Thunderstorms had rolled in just as we sat down and the fairy lights hanging outside rocked in the wind whilst we tucked into ENORMOUS pizzas. I had the mozzarella, black truffle, aged sheep’s cheese, and fresh sausage, and obviously stole a slice of my boyfriend’s which had salted capers and marinated anchovies and the whole thing utterly defeated me. 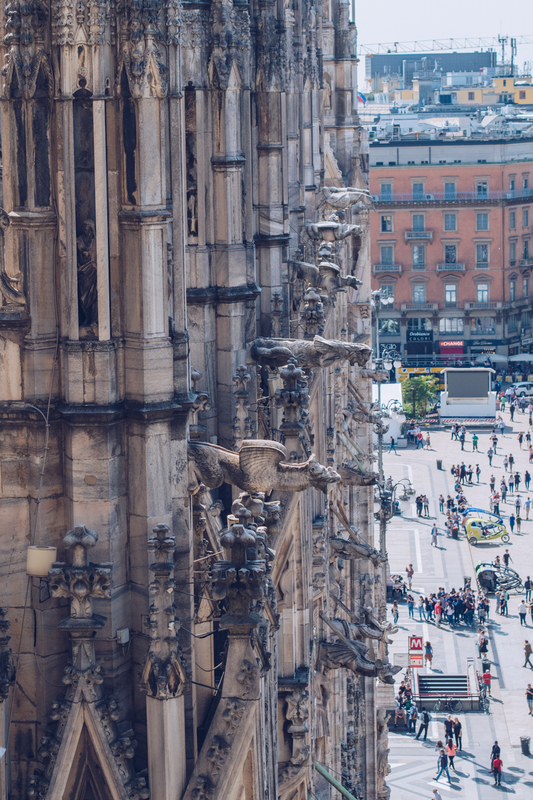 Milan isn’t the vapid, sleek, soulless city I’d anticipated. 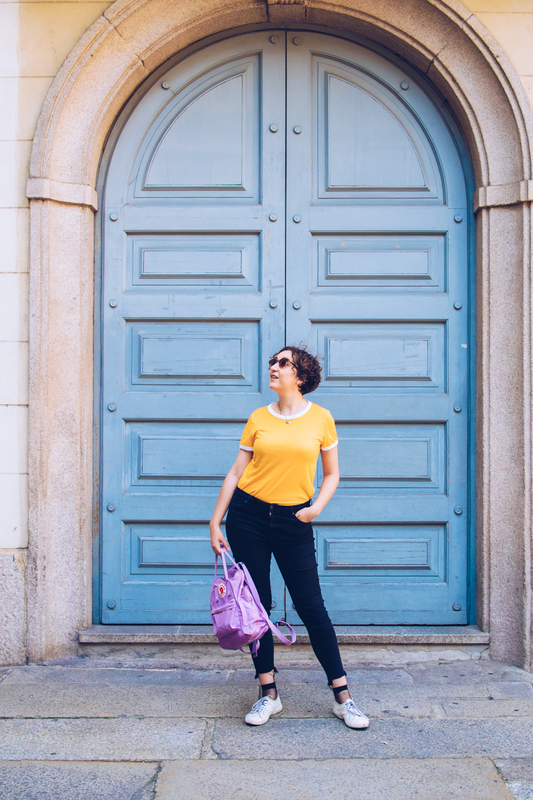 It took digger a bit deeper, but there were areas that I adored and my desire to find good Italian food was well and truly fulfilled. 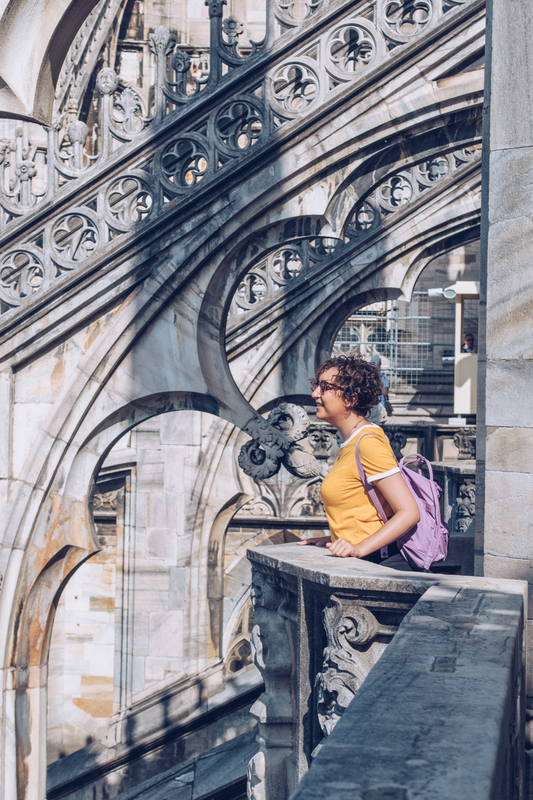 Of course I want to visit the ancient ruins of Rome and the colourful houses of Cinque Terre, but for a chilled out city break, you could do much worse than a weekend in Milan.